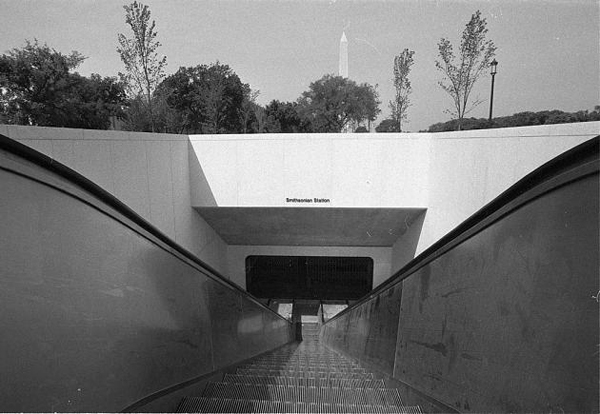 “Smithsonian Metro Stop Opens,” Histories of the National Mall, accessed April 22, 2019, http://mallhistory.org/items/show/218. The Smithsonian Metro station opened on July 1, 1977 giving visitors and residents a new option for taking public transportation to the Mall. At the official opening, the Metro's General Manager presented the Assistant Secretary of the Smithsonian with a fare card to add to the institutional collections. Smithsonian Institution Archives. View original.